Video Vixen Nicole Nyaba To Host ANCYL ‘Welcoming Party’! While ANC members might be taking the upcoming conference seriously as they’ll learn who will take the party forward, the Youth League is raising eyebrows with their entertainment line up. 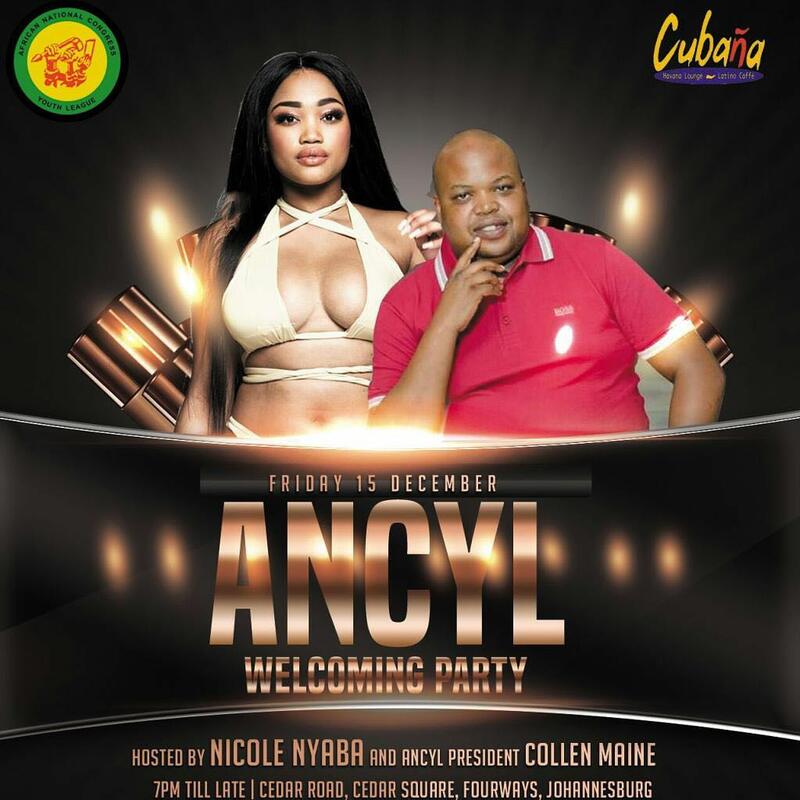 Controversial socialite and video vixen Nicole Nyaba is set to host a welcoming party this Friday alongside ANCYL President Collen Maine. The party venue is the Cubana in Fourways which is the same place where former deputy minister of higher education Mduduzi Manana assaulted three women in August. “Join me and the ANCYL President as we host the provincial chairpersons of the ANCYL in Jhb 15/12 🍾🍾🍾,” wrote on Instagram.